Brendan Clarke; Ger O’Brien, Kenny Browne, Conor Kenna, Ian Bermingham; Conan Byrne, John Russell (Sean Gannon 81’), Greg Bolger, Shane McFaul (Stephen Maher 67’) Chris Forrester; Christy Fagan (Anto Flood 75’). Darren Quigley; Eoin Hyland (Adam Mitchell 77’), David Webster, Shane O’Connor, Kevin Knight; Ismahil Akinade, Kevin O’Connor (Conor Earley 83’), Dean Zambra, Kieran Marty Waters; John Mulroy, Jason Byrne. 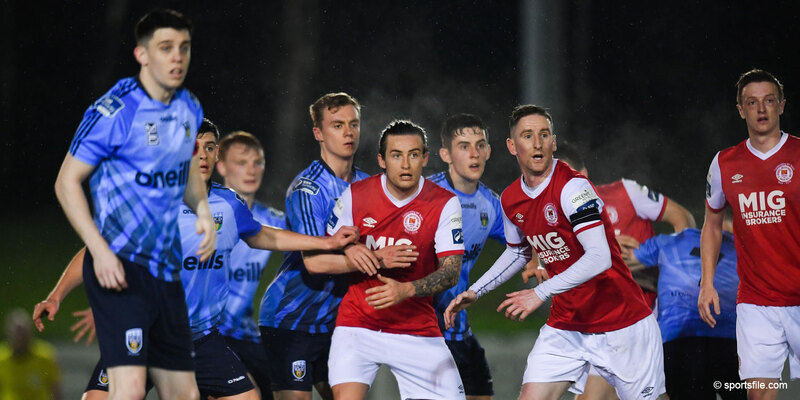 A brace from Christy Fagan ensured that St Pat's overcame the challenge of Bray Wanderers and maintained top spot in the Airtricity Premier Division. Fagan put Pat's ahead on six minutes with a close range finish following a sweet cross from the left by Ian Bermingham before doubling the lead on 28 minutes after connecting with Ger O'Brien cross from right. Bray improved in the second half but couldn't find a way past a good Pat's defence and finished with ten men after David Webster was sent off after a second bookable offence on 87 minutes. 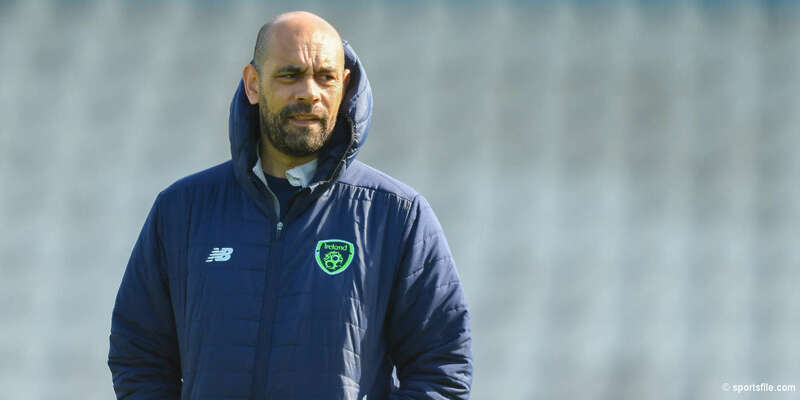 Having seen their long unbeaten run come to an end in Dundalk in their last game before the mid-season break, Pat's were hoping to bounce right back and had a great start with Fagan putting them ahead after six minutes. Ian Bermingham was given too much space on the left by Bray and he swung an excellent low cross into the box which was met by Fagan who tapped the ball past Bray goalkeeper Darren Quigley. Bray had a chance to draw level on 16 minutes when Kevin O'Connor was put through by Jason Byrne but O'Connor's shot from the edge of the penalty area could only find the side-netting. 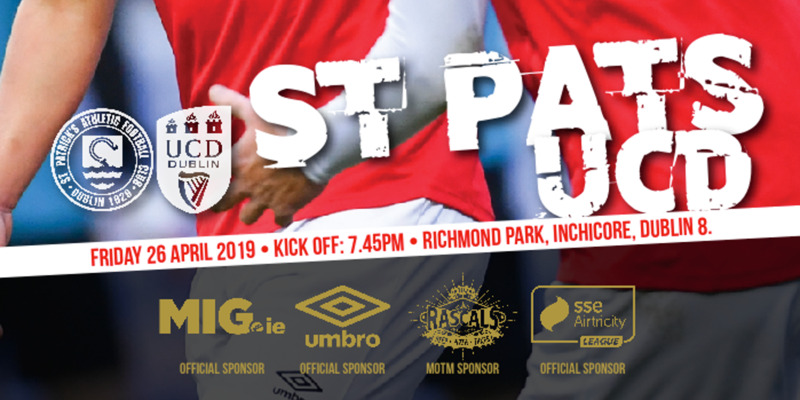 Pat's went close again on 24 minutes when Shane McFaul's header cannoned off the crossbar but they persevered and doubled their lead on 28 minutes when Fagan connected with Ger O'Brien's cross from the right and rifled past Quigley for his second goal of the night. Quigley then came to Bray's rescue on 36 minutes when he saved with his legs from Chris Forrester. The Pat's man had shot from 20 yards out following an inch-perfect pass from John Russell. Bray started the second half in a good form and Jason Byrne had an opportunity to get them back into the game on 50 minutes with a mischievous turn and lob but Brendan Clarke in the Pat's goal was having none of it and made a good save. 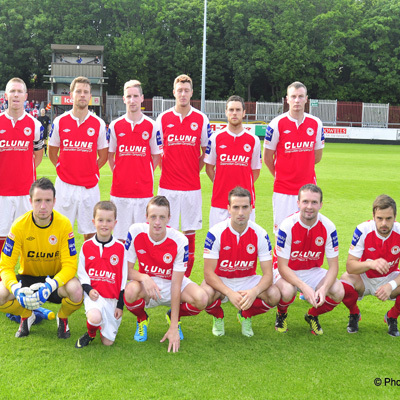 Having found the net twice, Fagan turned provider for Conan Byrne on 74 minutes with a pass from the right of the penalty area but Byrne's subsequent header from inside the six-yard box flew high over the bar. Bray finished with ten men when Webster was sent off for a second bookable offence on 87 minutes.